Happy almost Thanksgiving everyone! 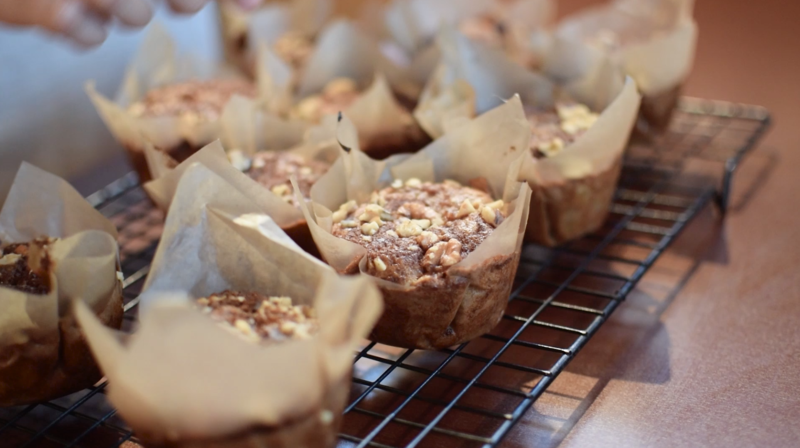 Here’s a recipe video for a light and fluffy apple and cinnamon muffin recipe that’s soft and sweet, with a crunchy cinnamon-sugar sprinkle and soft apples and crunchy walnuts! 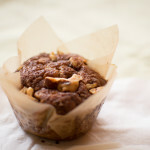 I love serving them in these easy to make rustic muffin liners. Everyone will love them! Check out the video on Jamie Oliver’s Food Tube, and please leave a comment! This light and fluffy muffin is soft and sweet, with a bit of crunchy cinnamon-sugar sprinkle. I love serving them in easy-to-make rustic muffin liners because they look super cool. 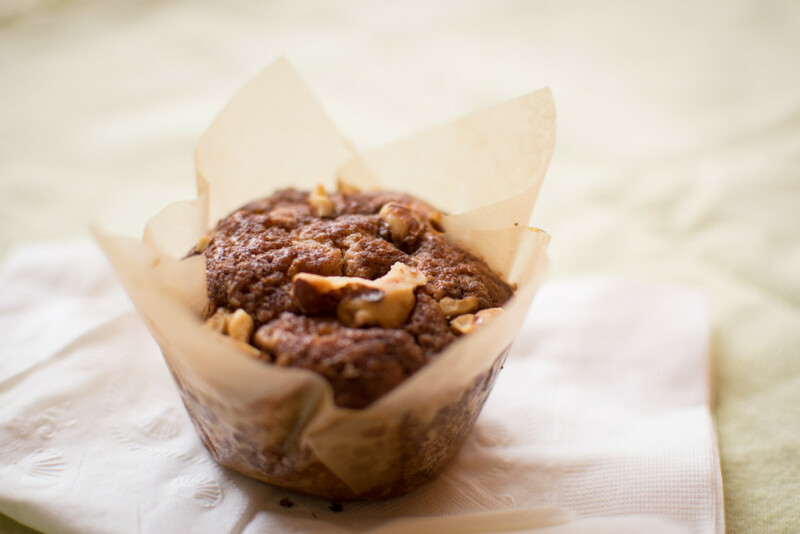 These muffins are a perfect choice for brunch and snacks, and I sometimes bring them to school for a class treat—it’s always a big hit! Preheat the oven to 350°F/180°C. Line a 12-cup muffin tin with paper liners, or use homemade muffin liners (instructions follow). Combine 13/4 cups/225 g of the flour, baking soda, salt, and cinnamon in a medium bowl. Whisk the coconut oil, brown sugar, and honey in a large bowl until well combined. Whisk in the eggs and applesauce. Add the dry ingredients and stir just until combined. Stir in the walnuts. Toss the grated apple with the remaining 1/4 cup/35 g (25 g if all-purpose) of flour and stir into the batter. To make the topping, combine the sugar, cinnamon, and walnuts in a small bowl. Sprinkle on top of the muffins. Bake until puffed and set in the center, about 25 minutes. Peel the apples and core them. Dice the apples into roughly 1/2-inch/1.5 cm cubes. Place the apples in a saucepan along with 1/2 cup/120 ml of water. Add the cinnamon stick. Cover and let it simmer over low heat for 15 to 20 minutes. If it looks too dry, add a bit more water as you cook. If it looks too watery, cook them uncovered to let some water evaporate. Cook until the apples are softened with very little liquid. Once the apples are cooked, remove the cinnamon stick. Purée the apples in a food processor for a smooth applesauce, or mash them with a potato masher for a chunkier applesauce. Cut a 6-inch/15 cm square piece of parchment paper. Center one square over one of the cups of your muffin tin. Push the parchment paper into the muffin cup, crease the parchment paper where the edges overlap each other, and insert a narrow glass or juice cup in each muffin cup to keep in place. When you are ready to scoop your batter into the tin, quickly remove the glass and replace with the batter. These liners look so rustic and cute! Hellow how many muffins result with this rations ?